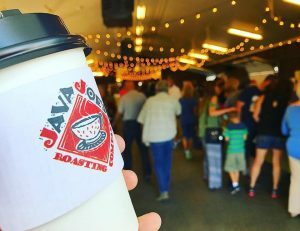 This weeks featured vendor is Java Joe’s Roasting Company! Founded by David & Kathy Pagnani and Eric Cole, Java Joe’s has been a staple in the Binghamton area for 15 years. 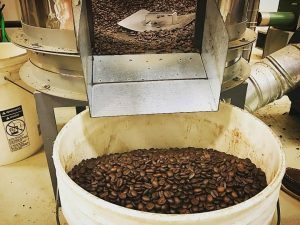 Java Joe’s started as a small coffee shop, and has grown into a national roasting company that ships all over the United States. They operate out of a 4,000 square foot roastery in Binghamton. They offer coffee, chai tea, iced coffee, and chocolate covered espresso beans. In addition to our weekly Famrers Market, Java Joe’s sells via wholesale, retail, online sales, and also offers fundraising.